These days, my motto is–the shorter, the better. I can’t bring myself to wear anything long because the heat is just insane! So what’s my weapon of choice to fight it off today? My Levi’s 501 shorts! They’re keeping me equipped for the long day ahead of me. Since they’re in distressed denim and have little white studs on them, I thought I’d go for a little 90s grunge look. 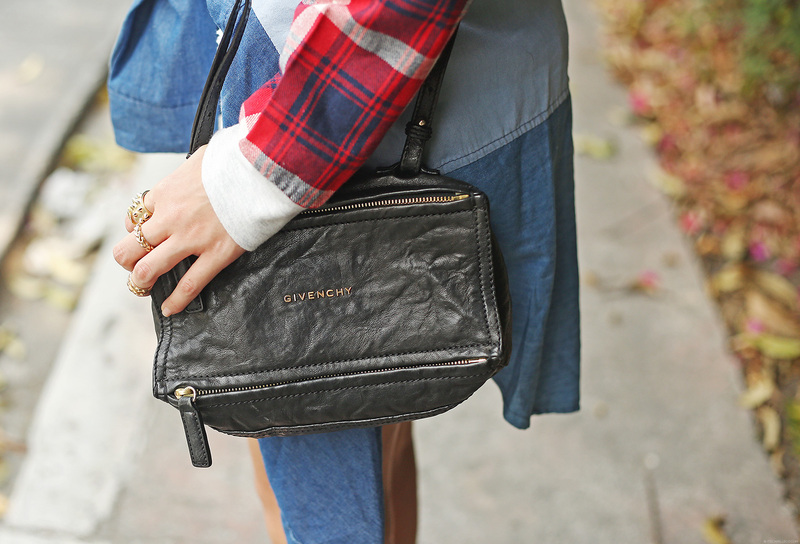 Plaid, denim and all. Definitely no leather because I haven’t gone crazy yet. but dont you feel hot while wearing that sweater? Tipid muna tela . Very well that it’s so hot because the shorter, the better :) I love your legs! oh how i miss the 90s. keep posting 90s fashion until everyone has their jackets and polos wrap around their waists! Lovely shorts! 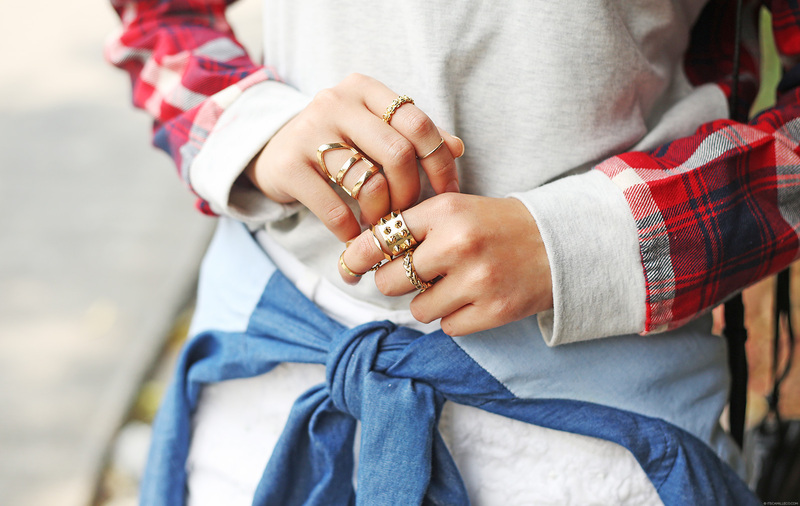 This look is so cool!! Can’t blame you for your motto, though. Hehe. This kind of looks really take me back to my elementary days. Hehe. Wow! I super like this!! I love the top actually hihi. Can’t wait to see you!!! I have been looking for a similar pair of heels. Those from Mango are gorgeous. Awww I won’t be there but I will have a stall :) So many shorts there! Awesome look! Everything is perfect. And those heels… stunning! Hello, Miss Camille! Not sure if you’ve been getting any of what I’ve been writing to you lately, so I hope you receive this comment. I had a lot of catching up to do online-wise with your blog, and I have been missing it like a sweet tooth misses candy! For this outfit, I’d have to say you do not look 25. Your Forever Young post comes to mind, and the timeless reminders found in your white clothing details are way more than just Throwback Vibes. I am rooting for you to revive and revamp these pieces as happening trends. The way you rock that denim blouse is so effortless! I mean, sure it’s summer (I agree with you about the heat), but a light cover throw-on is always welcome for those surprise summer showers! I love the classic gold tone you chose for your jewelry. The intersecting loops on your gold chain necklace plus the hue of your rings remind me of those nostalgic 90’s TV series. My mind went to Marissa and Summer on the O.C. :-D You certainly look like one of those hip youngsters roaming the County in their made-for-sunshine ensembles. Even your heels and your bag made me take a second look. My favorite detail has to be the red plaid of your sleeves. The candy tone is like sherbet and it totally made your hair highlights pop glowingly. P.S. I wish you a good time and happy vibes on your birthday dinner. I’ll keep my gift for you till I can personally meet you. Awwww bad timing! :) Next time then, hopefully :) Thank you Angelic! Love this look on you so much! Your legs are miles and miles long. 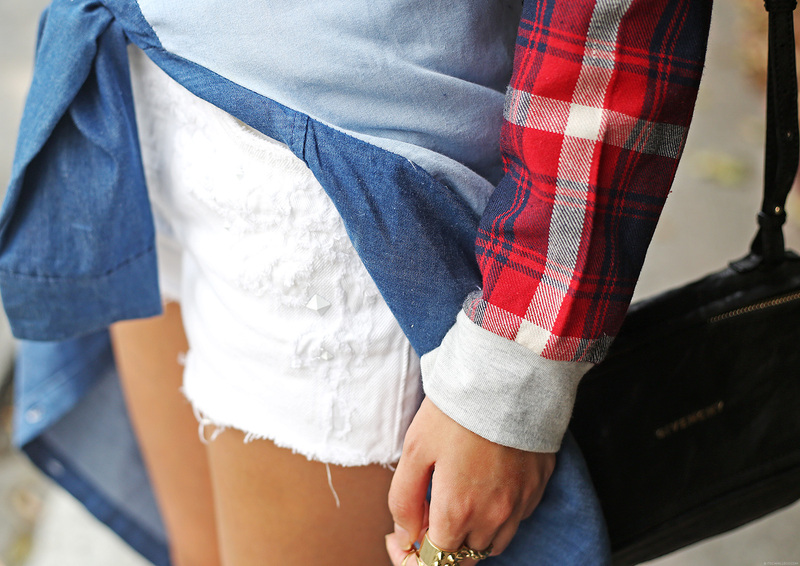 Love the plaid and the waist tied denim. And I really like your top! Your the best camille x) keep it going! Stay pretty and keep blogging! Thanks Yana! :) Glad to have met you! Haha! Aircon agad agad! :) Thanks Katrin!